Chefs aren’t the only impressive people in the food world, in fact some of the best meals I’ve ever eaten have been made in homes around the world. I met Khadija when we were in Essaouira earlier this year and she left a smile on my face. I was looking for something to do with the boys and knowing we all love cooking classes, this seemed like the perfect way to spend a morning. 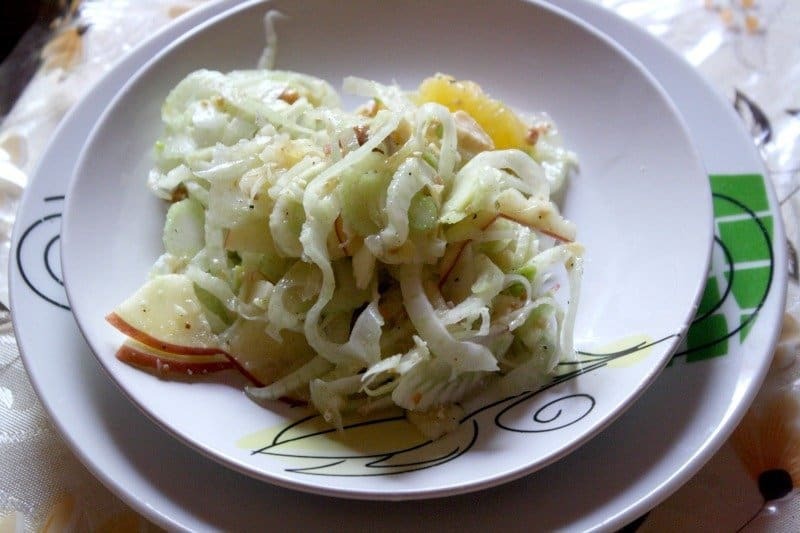 Plus, there were a few Saouri dishes I have wanted to learn how to make. Khadija is from a douar (village) about one hour from Essaouira, it’s where she grew up and her family still spends time there. In villages life is still communal. People cook and eat together. There is a real sense of community that is often lost in larger cities. Khadija learned the fundamentals of Moroccan cooking from her mother and the other women in her village – it’s how most girls learned. But for most that’s where it stops. 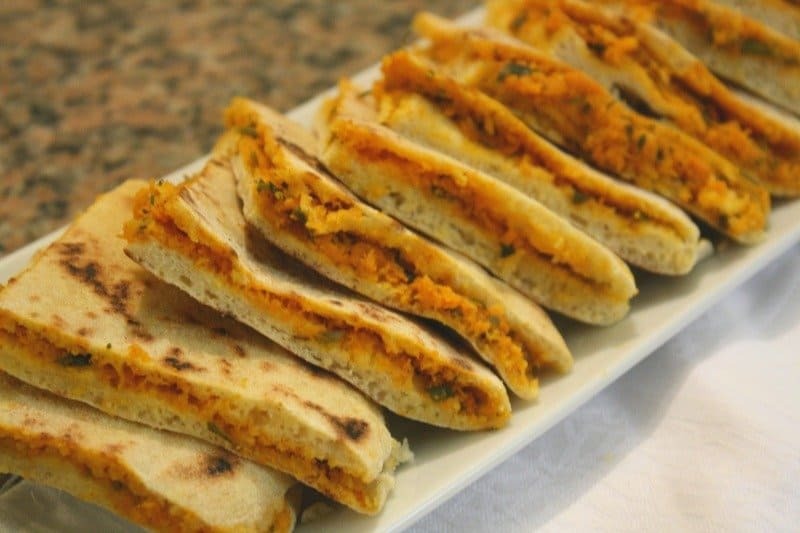 Take for example her spicy carrot sandwiches. M was in love with these and they’ll be making the regular snack rotation for awhile. The base is a Moroccan bread known as batbout but the inside is her own creation. (You can make them too with her recipe!) This is just one of the recipes she’s created in her own mind. While Khadija offers cooking classes at her home as well as catering services she also volunteers and helps other women. 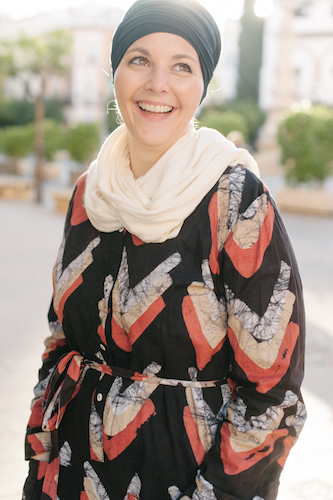 She’s done presentations in the community sharing ways to reduce sugar content in recipes – diabetes is a big issue in Morocco. She is always learning and open to new ideas and ways of cooking and preparing food. It was really evident that she loves what she does. We felt welcome immediately and language was not an issue. 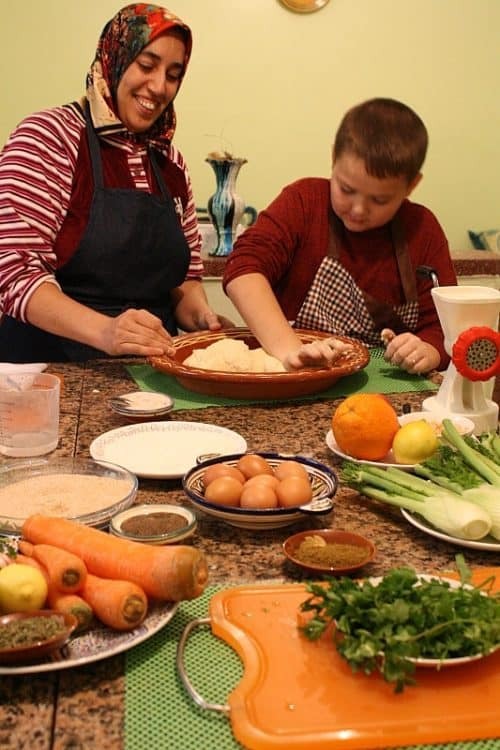 Taking a cooking class with Khadija will give you an opportunity to see what a real Moroccan home and food is like. You can help choose the menu you would like and make everything. Khadija was there to help but the class is hands on. 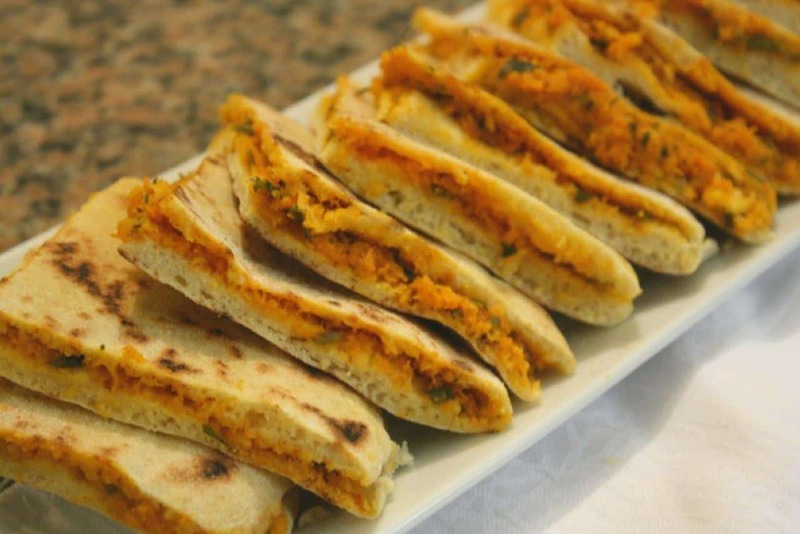 Hi – you should be able to click the link in this post to get the recipe with the carrots 😉 Or are you looking for the recipe that has spices and onions stuffed in the bread?